Brahms’s D Minor Piano Concerto had a long road to listener appreciation, and I bet that the hissing Leipzig audience of 1859 was not the only one which failed on the first hearing to internalize the passions of its bombastic Maestoso opening. 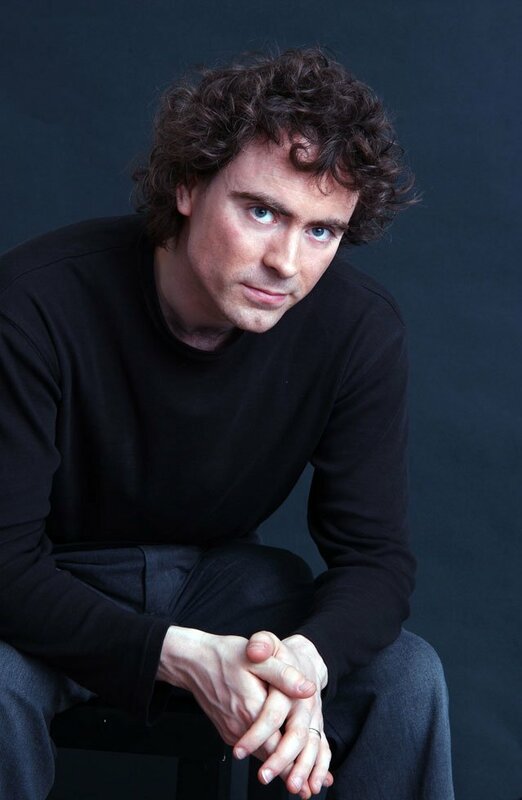 Paul Lewis is the kind of pianist who can bring sense to it, though, and his collaboration with Andris Nelsons Sunday in rainy Lenox achieved perfection. The Tanglewood Music Center orchestra played with energetic credibility throughout. It was a concerto played by straight-A students. Every phrase took extremely precise shape, fully controlled by the baton—not a millisecond too short or too long. Did you ever notice how the horns play an obedient tum-tum accompaniment to the soulful piano soliloquy in the Maestoso? On Sunday you would have. There might have been a couple of rough edges, such as in the opening blast of the horns, that more experienced players would have avoided, but overall, precision and high definition details prevailed. Lewis turned out a truly thrilling performance—up there with the most dramatic ones I’ve heard. Yet in those, sometimes less than perfect teamwork between the conductor and the soloist resulted in a very palpable sense of conflict, with the pianist pulling the reins of the unruly orchestra with all available strength. I am thinking about the 70s LP of Rudolf Kerer with Rozhdestvensky and the epic orchestromachia between Sokolov and the Frankfurt Radio Orchestra. Both of those make the famous staged 1962 Gould-Bernstein drama look like a reality TV fake. Lewis sought and harbored no conflict, but every solo episode was full of tasteful rubato preserving the sense of freedom and longing that gets listeners hooked. He controlled the audience’s breathing at least from the Piu Moderato solo in the first movement. In the Adagio, he provided a passionate commentary to the melancholic rustic theme of the clarinets and oboes maintaining a tremendous tension behind the simple tune. The cadenza in the finale was thrilling, leaving one in anticipation of future visits by Lewis to these shores. Brahms’ 1st Symphony followed. The earth-shaking first movement came out rather brisk to my ears: the allusions to the fate motive were perfectly articulated, but not necessarily believable. The biggest drama might have been taking place among the double bases with four players vying for access to the single music stand. Still the iron logic of the symphony could not fail to grasp and carry one forward. While Nelsons had the complete control of every group’s playing down to the minute details, he added some visual and possibly audio spontaneity by leaving the gorgeous solo in the second movement to the principal oboist Mark Debski while leaning back on the stand in his amusing ‘look, ma, no hands’ pose. That these young musicians can play should come as no surprise to those who heard them in chamber groups before. In the prelude concert the previous night, a quartet led by Jacob Schafer provided a lively rendering of Mozart’s second Prussian quartet K.589 with Nathan Chan filling the shoes of the dedicatee cellist Frederick the Second with charming spontaneity. Even though I came to savor the previously advertised K. 515 Viola Quintet, the substitution, along with Beethoven’s Quintet Op. 29 capably delivered by another group of TMC players, proved an ample reward. And these guys were not even first chairs of their sections. Blessed is the town that welcomes the young and the brightest to its prestigious brand. In the finale of the symphony, the winds of the TMC orchestra had their moments of glory. The crystalline splendor of the flute alphorn motive and the honeyed chorale of the trombones and bassoons building up the stage for the main C Major theme deserve special mention. Nelsons built artful assent first to the recapitulation of the C major theme, and then the return of the chorale. Finally the sun was shining—in the shed at least. The clouds outside were less impressed and the rain restarted just as listeners were getting into their vehicles. The magic of the shed lives on, though it palpably diminishes as your distance from the orchestra increases. On Sunday, listeners in the outer circles reported a distant and detached experience with the Brahms. It did not help that the video screens were not operating, because as I learned the previous night, they make a world of difference. Arriving unexpectedly on Saturday night, I got exiled from the comfort of the inner circle of the shed and into the outer darkness. That proved to be an interesting experience. Due to subtle but effective amplification and primarily to the video screens, I received a superb high tech experience: excellent camera work in the style familiar to viewers of broadcasts from the Waldbühne or Lucerne Festival eliminated any guesswork on which orchestra player was responsible for which pleasing solo and provided a high definition window into the one man show called Andris Nelsons from all angles including frontal, for which one normally has to sit in the Concertgebouw podium. That by itself did not turn the finale of Beethoven’s 7th into the Dionysian dance that I am still hoping to hear one day, but it certainly made one wonder in which medium the most important performance is taking place. This might push me further towards a decision that I made about ice hockey many years ago: it is better enjoyed on the TV in the privacy of one’s own home. Unless of course, of all aspects of the spectacle you value the community spirit more than anything. Of course, there is still a higher level of satisfaction when the audience explodes in enthusiastic ovation around you—as opposed to somewhere in front of you or just on a screen. Victor Khatutsky is a software developer who reviewed music as a US-based freelancer for the Kommersant Daily of Moscow. He has been known for occasionally traveling long distances to catch his favorite performers.